What a gloomy painting! The young artist, painted by Emily Osborn, herself a young artist, is a moving image of desperation and poverty. Her choice of colours creates a feeling of despondency. While my initial impression was that the girl has reasonable wealth, it is clear she’s in need. It’s the looks of the men in the room that really make the picture come alive. The man behind the counter is working out how little he can offer for her picture, while the two men glancing up from the picture of the ballerina are thinking how they can get her naked in bed.Her options are limited. The young man on the ladder has the decency to look slightly embarrassed. Perhaps he sees her as an equal struggling to make a living. The scene captures the moment powerfully, and you can’t look away without feeling sympathy for the girl. I love the richness of the colours in this painting. There is a wonderful contrast between the oranges and reds that come out of the sun and the kingfisher blue from the ice. I can tell that he has painted first-year ice, which means there’s a degree of accuracy and understanding going on here. In the centre of the picture a large polar bear is standing on a block of ice. You wouldn’t make that feature up unless you’d seen images of it. I would guess that this place is based on a Spitsbergen landscape where you get those spiky alpine peaks. Victorian explorers and sportsmen went up there for the summer holidays to shoot a few bears, and that’s where quite a lot of that imagery of the pole came from. The artist has created a slightly Disneyesque fairy tale atmosphere with those peaks. Even though he has probably cobbled together the structure of the painting from different elements (he has put a waterfall near the middle of the picture, which is a bit odd), it is actually, on balance, quite credible. The picture was painted when polar exploration was popular. Some say that the time for such exploration is over. I would argue that it’s never been more important. Historically, explorers went out on behalf of monarchs and governments to find resources for their mother countries, and in so doing found themselves mapping where everything was on our planet: the river systems, the mountain ranges, the ice sheets, the coastline, the deserts. We now know where everything is, and those gaps that were left have been filled in by the satellites. But if you accept that the natural world upon which we entirely depend for our existence is showing signs of stress in response to our activities, and if you accept that we need to manage our relationship with the natural world and its processes and systems better, then never has it been more urgent to find out how it works, in order to ensure a future for all of us. This small sculpture by Henri Gaudier-Brzeska (presented to Tate by Tate Members last year) is about the size of your thumb. He carved it from solid bronze, or cut it using hacksaws, rather than casting, so it has a particular texture. You can see the saw marks on some of the surface, and it resembles a piece of machinery in a way. It has a combination of soft forms and then quite hard-edged flat planes with interlocking triangles and curves. It strikes me how it looks like a work from the Vorticist period – which it is. Fish originally belonged to Ethel Kibblewhite, wife of the art critic and poet TE Hulme, who had articulated some of the ideas behind Vorticism and, like Gaudier, was killed in the trenches. The artist made a number of these tiny sculptures to be held in the hand, and we know that he told Ethel to keep it in her handbag. It is a fascinating work, because it shows how Gaudier is playing with the notion of what sculpture can be. Fish is an intimate, talismanic thing, but also potentially functional. I think we’ve got so used to the idea of sculpture being spatial and monumental, but it is also about touch, about the minute and the intimate. Having said that, there is a strange aggressive quality to some of these small Gaudier bronzes. A work in the Tate Collection with which this most strikingly resonates is called Torpedo Fish (Ornement Torpille) (1914): it is similarly fish-like, but also looks like a weapon (for more information see page 38). Again, the original was cut out of bronze, rather than cast. This mix of functionality and a sense of violence is a strain that runs through Gaudier’s works. He also made a number of bronze knuckledusters. There is a story about one of the Bloomsbury group arriving into the country with one of these in his luggage, and being arrested at customs for being in possession of an offensive weapon. He tried to explain that it was a piece of art. To my knowledge Stalin and Churchill were the only public figures that my grandfather Peter Peri ever made portraits of. He was a politically committed artist and a life-long communist, but he was mainly interested in representing the lives of ordinary people in everyday situations. 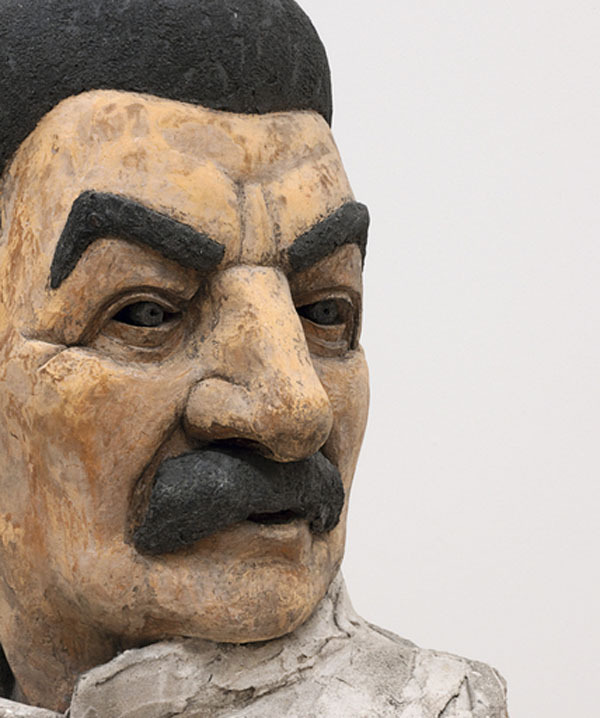 In the context of wartime though, this bust of Stalin was probably conceived as a statement of anti-fascist solidarity. Peri, a Hungarian by birth, started off working in the Dada and Constructivist movements of 1920s Berlin. Feeling that abstraction had lost its political relevance, he later developed an idiosyncratic marriage of Constructivism and Social Realism. After arriving in Britain in the mid-1930s, he began to work with coloured concrete, a cheap and modern material, adding various elements to create a cement mixture he christened “Pericrete”. It gives this piece an incongruous cartoonish look. It reminds me of Picasso’s infamous drawing of Stalin – there is something of the same rounded off, almost cuddly quality in both works. After the war Peri tried unsuccessfully to sell this sculpture to the Soviet embassy in London. Their response was to send him back a photograph of Stalin, in order, they said, that he should see “what the Generalissimo actually looks like”. Teetering on high heels, sheathed in a hip-hugging dress and with a luxuriant white fur hunched sumptuously around her shoulders, Boty’s exuberant blonde – Marilyn Monroe – looks every inch the imperious film star. Painted in 1963 from a publicity image for Billy Wilder’s classic film comedy of 1959, Some Like It Hot, there is a sense in which this depiction of Monroe differs significantly from other Pop Art treatments of the same subject. 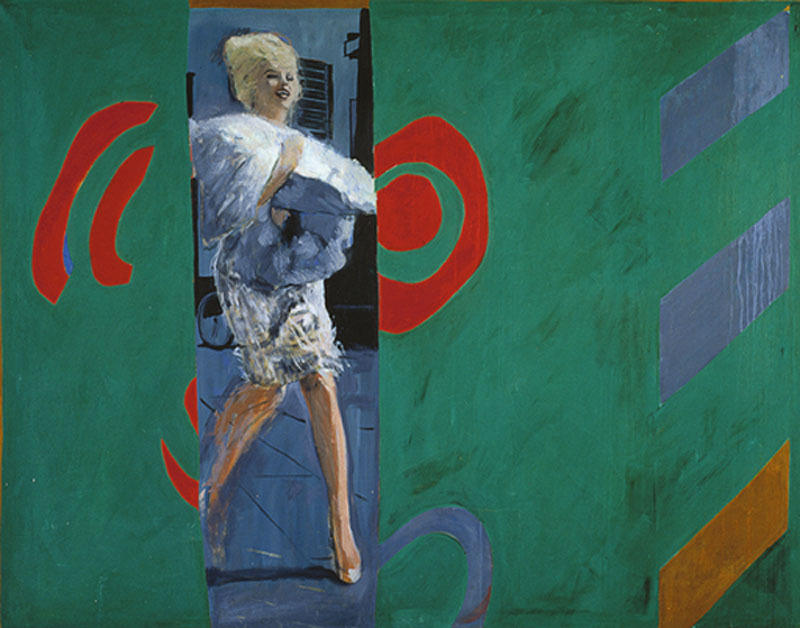 In Pauline Boty’s painting, the sun-drenched sashaying star – silvery white, golden and ash blue – is seen between two areas of dense green, and bracketed by daub-like circles and curves of bright red. 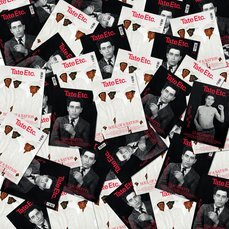 There is none of the poised cool in her handling of the subject – a delight in the temper of mass-produced pop imagery, for example, or slick celebratory humour – that one might expect to find in a British Pop Art painting of this period. Rather, there is an enigmatic and somewhat melancholy feel to Boty’s deeply felt evocation of fame, glamour, legend and female sexuality. The abstraction with which the “only blonde” is surrounded seems more to enforce her solitude than assert her mythic celebrity; and the red forms on either side have a slightly malevolent intensity, as opposed to a jaunty pop beat. Boty herself was an actor, well-known for her striking looks and vivacious personality; and, like Marilyn, she would die young (aged 28, from cancer), her career unresolved, to become a Pop icon.